"Everyone is creative, everyone is musical. 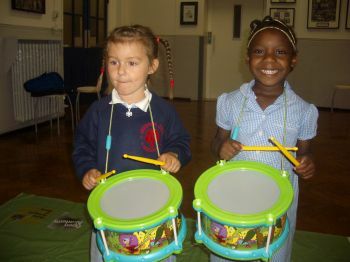 Music engages us with the past and present, the world around us, each other and ourselves. It inspires confidence and brings communities together. My job is to help others unlock and realise the creativity within themselves." Photo: 'Discovering the orchestra' project for the Royal Academy of Music. 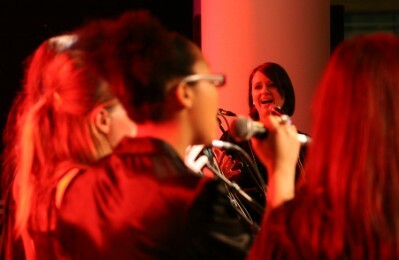 Photo: Kim performing with the vocalists from the London Philharmonic Orchestra's 'The Band' project. Copyright of Rhydian Peters.